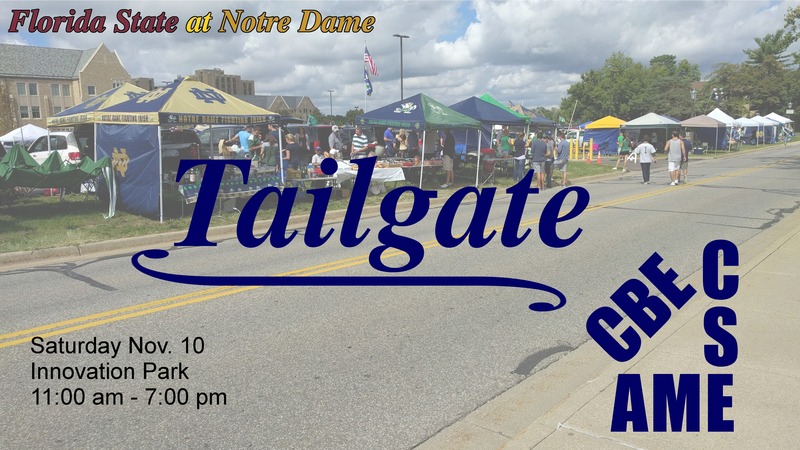 Be sure to join your fellow CSE Students and Faculty THIS SATURDAY, as Notre Dame takes on Florida State, at our FIRST EVER TRIPLE JOINT CBE/CSE/AME TAILGATE. We will be located at Innovation Park, located off the corner of Angela and Twyckenham! Come by for food and games, and get ready to watch your Fighting Irish take on the Noles. See you all there, and don’t forget to wear Green!